BIRMINGHAM, ENGLAND – Theresa May’s Conservative party met in Birmingham this week to discuss their plans for Brexit and beyond. Images of the half-empty conference hall beamed across the nation’s TV screens, but in the fringe rooms, there was a real buzz, with MPs, activists and analysts in sometimes fierce debates about the future of Britain and the nature of its exit from the EU. Here are five things we learned at this year’s Conservative conference. The general sense at Labour’s conference in Liverpool last week was that the party was surprisingly united. There was little of the bitter infighting that had dominated previous conferences and few controversial moments. 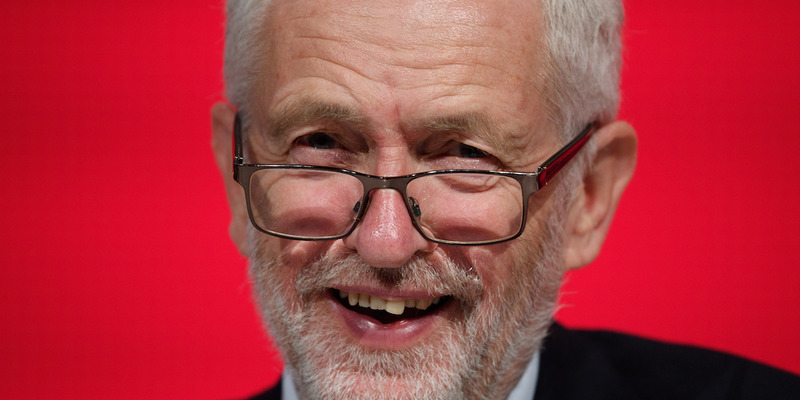 More significantly, the policies announced by leader Jeremy Corbyn and Shadow Chancellor John McDonnell picked up lots of media attention and appear to have been well-received by the public, if recent polls are to be believed. “Our Town” – a slick and powerful Labour campaign ad published after the conference – worried Conservative MPs, a number of whom even took to social media to express their concern. Robert Halfon said his party needed a “thoughtful response” to the “serious stuff” produced at Labour conference. “Predictable responses just won’t cut it with public,” he warned. That growing worry about the prospect of a defeat to Labour has been a reoccurring theme at this year’s Conservative conference. George Freeman, a former policy advisor to May, warned that the Tories appeared to have “no vision” and were at risk of handing the keys of 10 Downing Street to Corbyn. He was echoed by the former education secretary, Justine Greening, who said: “If this party doesn’t change we will not be winning elections anymore. It’s as simple as that.” Will Tanner, another former advisor to the prime minister, told a reception hosted by centre-right think tank Onward that Labour was now a “slick” and “coherent” force with a real chance of winning power. Home Secretary Sajid Javid told BI that the Tories need more “good ideas” and a “much more positive narrative” to stop Labour from winning the next election. The popular pro-Brexit MP Jacob Rees-Mogg told a fringe event that he was “genuinely worried” about Corbyn’s support because he’s a genuine socialist and socialism is “surprisingly popular.” Once merely a political punchline in Conservative circles, the Labour leader has now become a major headache for the party. “How do we win back the under 45s?” was the question being asked at numerous fringe events at Conservative party conference as the party struggled to come up with ideas to tackle the growing age divide between support for the two major parties in British politics. The honest answer, judging by their response this week, is that they just don’t know. The party’s dilemma was summed up well by leading pollster Joe Twyman, who told a fringe event on Tuesday that the policies most likely to win over younger voters were 1) reducing house prices by 50% 2) scrapping tuition fees and 3) stopping Brexit. For the Tories, the first is undeliverable, the second is unpalatable, and the third unthinkable. 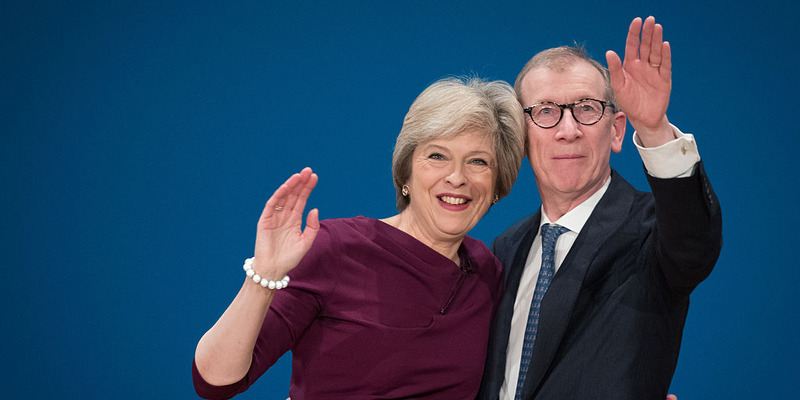 As Twyman went on to explain, for millions of people under the age of 45 – not just university students – there is a pervading emotional sense feel that a decade of Conservative government hasn’t worked for them. Corbyn’s Labour has found a way to tap into that in a way that emotionally resonates with younger voters. The Conservative have an almighty task to turn that around. For some Conservative MPs, Brexit is the biggest obstacle to overcoming this. Nicky Morgan, the former education secretary, told BI on Tuesday that if the party didn’t get a grip on Brexit and produce a positive and coherent vision for the country, “most sane people in the country will say what on earth does the Conservative party have to say to me?” The evidence from this year’s conference is that the party just doesn’t know. Dan Kitwood/Getty ImagesMP Jacob Rees Mogg (left) MP Boris Johnson, (centre) and MP Iain Duncan Smith (right) listen to questions following the launch of ‘A World Trade Deal: The Complete Guide’ at the Houses of Parliament on September 11, 2018 in London, England. One of the most common sights at this year’s Conservative conference was the phrase “chuck Chequers” emblazoned on badges, stickers and t-shirts. The prime minister’s controversial Brexit plan to keep the UK wedded to parts of the EU’s single market and customs arrangements has gone down like a lead balloon with the party’s largely pro-Brexit membership. It’s difficult to say who hates it the most: Brexiteers, ultra-Remainers, or the European Union. However, opposition to it is fiercest among the party’s pro-Brexit contingent, which now makes up the vast bulk of the membership. 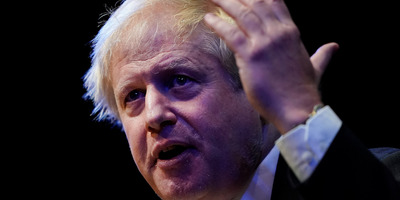 At his packed conference fringe speech, the former Foreign Secretary Boris Johnson was cheered to the rafters for his call for the plan to be ditched and even bizarrely suggested she could be prosecuted if she persists. Throughout the conference, May’s allies insisted that she will stick to her guns. However, all the evidence from this week suggests that at some point she will be forced to back down. 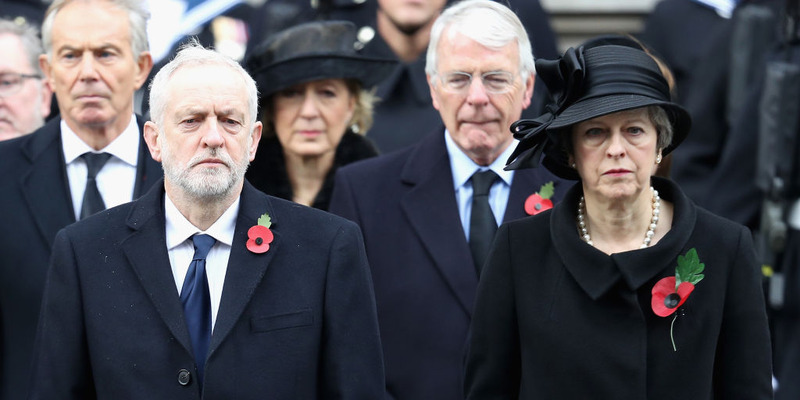 The consensus both within the Conservative party and across Westminster as a whole is that May probably won’t be prime minister when the next scheduled election takes place in 2022. Her position wasn’t helped on Wednesday morning, right before her big speech, when Tory MP James Duddridge described the conference as a “disaster” and said he would be sending a letter to the party chairman calling for her resignation. At this year’s conference, the unofficial race to replace her was well underway. Senior Tories who fancy her job know she won’t be there much longer – and have been out to impress in Birmingham. The first name that gets talked about in this respect is obviously Johnson, who basically held a rival leadership speech on Tuesday to a room of well over a thousand people. 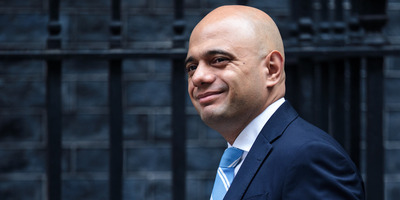 Javid, the ambitious Home Secretary, went down well at evening receptions,and did not hold back in his criticisms of the Conservative party’s current strategy. There is also no doubt that Brexiteer-in-chief Rees-Mogg is hugely popular with the party membership and consistently attracted huge crowds throughout the conference. His fellow Brexiteer Priti Patel spoke at a number of events and is considering a leadership run, a source close to her told BI. However, if and when a race does start before the general election then the list of possible contenders is likely to be much longer. Anyone raising the topic in the conference bars this week would have been met by a vast and changing list of potential candidates. May’s position is probably safe until after Brexit day next year but there is no shortage of MPs eager to step in once she finally does leave the stage. Johnson drew big crowds for his fringe speech this week with huge queues wrapping around the conference centre for several hours before it started. However, his speech was as revealing of his weakness as a potential candidate as it was about his strengths. His all-out attack on May, accusing her of betraying her country and his suggestion that she could be prosecuted for her Brexit plan, felt seriously misjudged. The prime minister may not be the most popular leader the party has ever had, but she is not personally disliked by her party either. By contrast, May’s own conference speech was well measured and thoughtful and reminded many of those present for the first time in a long time, why they had chosen her as their leader in the first place. Her announcements that councils will be able to borrow more and that austerity will come to an end next year suggests that she does realise at least some of the obstacles the party faces to win the next election. Even among Johnson’s natural supporters in the party there was a sense that his own speech had misfired. One prominent Brexit-supporting MP who has been incredibly critical of the prime minister, told BI that they were deeply disappointed that Johnson had not called for him to stand down. “We needed a call to arms [to oust May] and that wasn’t it,” they said. Johnson’s detractors are more convinced than ever that his chances of leading the party are over. 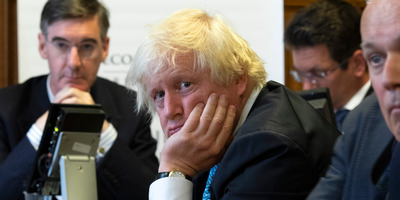 One moderate Conservative MP told Business Insider that Johnson’s chances of becoming Conservative leader were now: “incredibly low. Less than 5 per cent. “I think Boris’s popularity is descending very quickly. I think his behaviour, his comments, his language, his utter disloyalty, is going down really, really badly with the parliamentary party,” they said. For the many Johnson-sceptics among May’s MPs, that feeling has only been confirmed this week.